It is not by chance that Swim England’s National Masters Championships is, in our humble opinion, the best Masters meet in the UK (disagree? Let us know your favourite!). 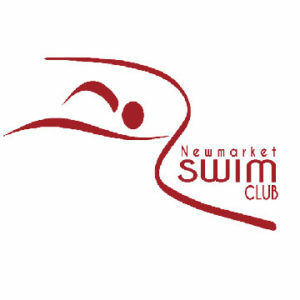 The event has evolved as a result of meticulous attention to detail in the run up to the meet, and a number of extensive debriefs and discussions after the event on what we could do better and what changes we could make to enhance the swimmer’s experience. With the introduction of qualifying times this year, careful attention was paid by the Masters Working Group, the Meet Manager and Technical Director to this process. A comprehensive review was undertaken, taking in direct feedback from swimmers, before during and after the competition, and also discussions with the officials and event staff. A formal “wash up” meeting provided food for thought on what, if any changes need to be made to improve the event next year. Verity Dobbie, Chair of the Working Group, summarises the conclusions and thought processes in relation to your burning questions and issues in relation to the event. The points below were raised after the event. Below each points is the discussion which took place and why subsequent decisions have been taken. It is acknowledged that regrettably there were some casualties as this was the first time that swimmers had encountered QT’s and their introduction required swimmers to plan ahead. The conversation about QT’s had been in the public domain for many months but some people still hadn’t come across the information. As QT’s embed themselves in swimmer’s conscience this should become less of an issue. The need to maintain current QT’s should lead to an increase in participation. This was supported by some anecdotal evidence from a number of Meets held just before the close of the QT window, with, for example, the East Regional Championships enjoying a 50% increase in entries. It is anticipated that the acceptance of QT’s will have a secondary and positive effect on our discipline increasing the demand for more events and leading to Meet Managers providing greater opportunities locally throughout the year increasing participation and encouraging more clubs or associations to establish a meet. The rationale behind taking the fastest time over the last two years is that it is simple, understandable and honest. It is a genuine time, everyone’s swum it within the last two years and it’s a level playing field. It eliminates the ability of some swimmers to exploit the rules to gain an unfair advantage. It was recognised that some people have genuine reasons to want to change an entry time but it’s difficult to make a fair system for all. In addition there is a practical problem that the online entry system will not allow swimmers to alter their times but will only ‘pull through’ their personal best times recorded in a set period. The two year qualifying window was thought to be a sensible compromise, between allowing swimmers a reasonable period to attain QT’s whilst not being too out of date. There are a whole host of reasons why a Masters swimmer will produce a performance that is worse (or on occasions better) than their entry time. The point is that these times are genuine and the swimmer has already proved they can swim that time. Scrutiny of the results from Sheffield produced no evidence that this was a significant issue or caused any serious delays. The Masters Working Group are alert to this issue and your comments, and intend to keep it under review. 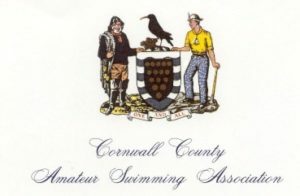 Every effort is made to have the results entered in the rankings database in a timely fashion, and the Swim England Rankings Administrator did a great job in the run up to the closing date for this years event in making sure that rankings were updated within 24-48 hours. Delays may lie with the Meet managers. Promoters of events are responsible for ensuring that they send results in the correct format to the Rankings Team as soon as possible. There is clear and helpful information on the Masters hub explaining how to submit times to Rankings. I would like to use my split times as QTs. Currently this is not possible. Split times are not recorded on Rankings. We agree that we would like to see more opportunities for swimmers to compete in distance events local to them. It is hoped that the demand for longer distance events will increase and more Meets will feature longer distance events. Did you know the QT doesn’t have to be swum in a Masters Meet? 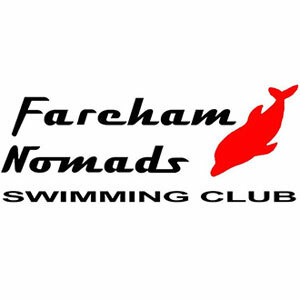 Many club championships are licensed at the lowest level and the results fed into the mainstream rankings, provided your swim is inside the Masters QT and the event goes into Rankings then this is acceptable. Can I use my Open Water times to qualify? Unfortunately every open water event has different courses and conditions mean there is no standard. 1500m in one event may be shorter or longer than another. Therefore these results are not put into the Rankings system. Please can we have no limits on the amount of relays? The popularity of the Meet means that whilst we would love to be able to lift the restrictions on relays, this is difficult. In its current format, the Nationals are a three day 8 session meet. 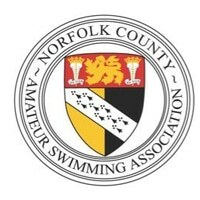 The restrictions on session length are to ensure that the sessions are of a reasonable length allowing swimmers and officials alike to take proper meal breaks and to finish at a reasonable time. As a result of this, sessions have to be monitored and events closed as the session reaches its limit. The relay schedule will be looked at carefully to ensure there is a balance of entrants on each day and it may be we can allow an extra heat or so of the shorter (and more popular) relays and also think about reserve lists for the longer relays. The QTs are based on decathlon points and as these are based on age adjustment the QT’s are effectively bespoke and in theory apply consistently across the sexes, age groups, and events. The team Declarations deadlines were different in Info Pack to the team form. Yes. Sorry this caused delays and we will try to be clear and consistent on all documentation. The scoreboard did not show ages, some heat numbers and not all information on relays. We have been here before and had previously agreed this and written it into the meet specification, but sometimes things are overlooked it was the first time the pool and scoreboard had been configured in this way. We will be alert to ensure that the age group is displayed next time. Why does the equipment breakdown and cause delays? This is out of our control. All of the timing equipment is supplied by the pool and rather like us (or some of us anyway) it is beginning to show its age. Masters Nationals is one of only 3 events (Age Group Inter-County & BUCS) which uses the pool configured in the 2 x 25m format and the problems are only highlighted when ALL of the equipment is being used. The Meet Manager and Technical Director had a meeting with the Pool Management about the unacceptable delays, who promised an investment in both capital equipment and staff training to ensure that there is no repetition of the issues we had. We will be following this up. Unfortunately there are only 2 other pools in the UK, which could cope with our event and both have drawbacks. London – which is expensive and reluctant to commit to entire weekend hires, and Sunderland- which is not geographically convenient and may not have the immediate infrastructure to support an event the size of Masters Nationals. We love the commentators please can we have them again? Yes, if they’ll come. Duncan Mckinnell and Sandra Inglis did a fantastic job. Us older age groups can’t read or get to phones etc for heat sheets please can you make them easier to get to? Yes definitely. Placing heat sheets in one specific area for older age groups may be a solution. It may not be as easy as printing in a larger font but we will look at this. I like the split in the warm ups but can we have more information on the scoreboard? The warm up plan worked well particularly the age group split. We will see what we can do about displaying more detailed information re lane allocation on the score board. Can you make the QT’s faster? Can you make the QTs slower? Are we going to have qualifying times again? There were 78 more people entered this year compared to 2016 therefore the QTs have not put people off entering. As we mentioned earlier there is evidence of a positive effect on lower level meets who have seen their entries increase and have attributed this to swimmers chasing QTs. The meet was successful and manageable. QTs will be retained for future events and gradually tweaked to improve the standard and to control numbers. There isn’t enough information from 1 year of qualifying times to justify altering them for 2018 but should be reviewed and amended for 2019. Our view is that QTs were positively received by swimmers, and they will be introduced at the British Masters Championships in June 2018.